[18.06.2017 20:21:28] - Aaron Brocklehurst was released. [18.06.2017 20:21:28] - Wild paid 0 Kč to release Aaron Brocklehurst. [11.04.2017 23:57:17] - Iowa Wild didn\'t make playoff for year 16. 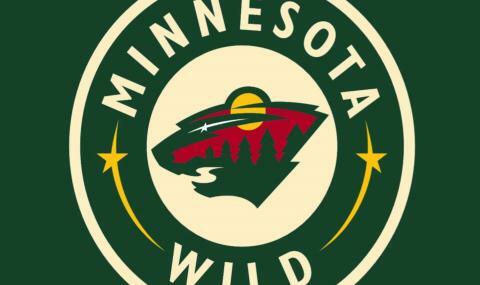 [11.04.2017 23:57:17] - Wild didn\'t make playoff for year 16. [21.03.2017 22:55:33] - New Record for Team\'s Most Hits (40) in 1 Game for Wild! [23.03.2017 0:45:10] - Roy Radke was added to Wild. [25.03.2017 1:08:02] - Aaron Brocklehurst has been added to Wild. [25.03.2017 1:08:08] - Aaron Brocklehurst was added to Wild. [09.02.2017 22:12:13] - TRADE : From Sharks to Wild : Mark Fraser (56)- Theo Peckham (53). [09.02.2017 22:12:12] - Mark Fraser was added to Wild. [05.02.2017 0:45:45] - TRADE : From Wild to Lightning : Klas Dahlbeck (65). [05.02.2017 0:45:45] - TRADE : From Lightning to Wild : Y:18-RND:3-TBL. [31.01.2017 23:40:28] - TRADE : From Canucks to Wild : Filip Chlapik (P)- Y:18-RND:1-VAN. [31.01.2017 23:40:28] - TRADE : From Wild to Canucks : Jaden Schwartz (67). [18.12.2016 22:46:43] - T.J. Hensick is no longer as assistant for Iowa Wild. [07.12.2016 0:59:32] - Nick Foligno has been selected as assistant for Wild. [07.12.2016 0:59:32] - Marc Staal is no longer as assistant for Wild. [07.12.2016 0:59:32] - Marc Staal has been selected as assistant for Wild. [07.12.2016 0:59:32] - T.J. Oshie is no longer as assistant for Wild. [09.02.2017 22:12:13] - TRADE : From Wild to Sharks : John McCarthy (58)- T.J. Hensick (56). [18.02.2017 22:34:30] - Ben Holmstrom is no longer captain for Iowa Wild. [09.02.2017 22:12:12] - Theo Peckham was added to Wild. [27.02.2017 23:18:02] - Nikolay Goldobin was added to Wild. [20.02.2017 23:56:52] - Sebastian Aho has been selected as assistant for Wild. [20.02.2017 23:56:52] - Nick Foligno is no longer as assistant for Wild. [19.02.2017 22:24:25] - Ryan Kesler was added to Wild.